From a member of the group GREAT post on YouTube about The Fascinations on Paxley and Dore Records. 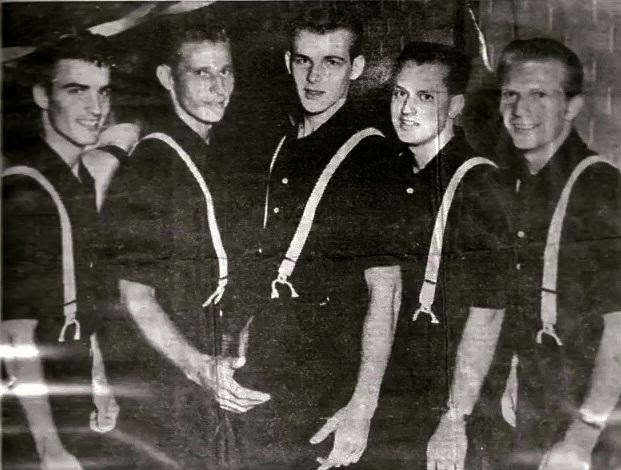 White group from Los Angeles composed of one Poly High School student and four Graduates; Ken Mowery, Dave Walker, Tom Holder, Dave Bilgen and Chuck Stansfield first know asThe Belvederes (see above picture). 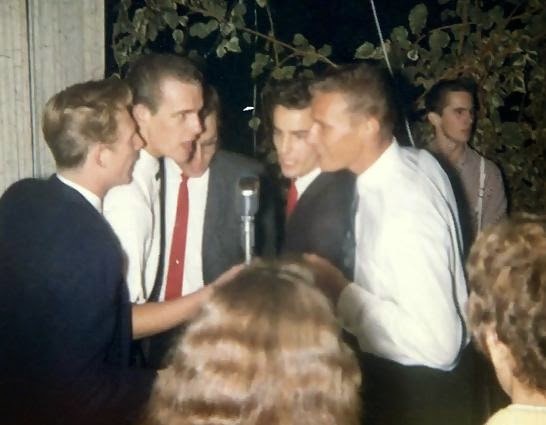 They sang locally at School, clubs, and record Hop. 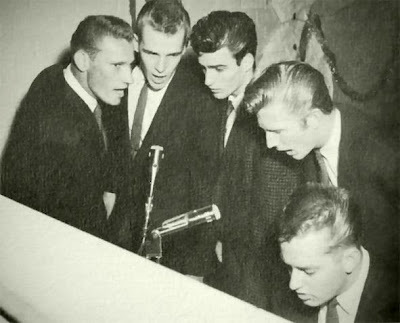 In 1961 receive the attention of singer, arranger and writer, Gary Paxton ( of_Alley-Oop and Monster Mash. fame). 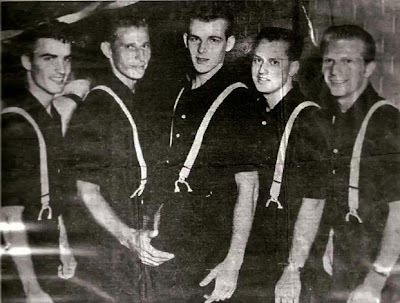 Paxton signed the group for his label Paxley Records. The group recorded_If I Had Your Love. 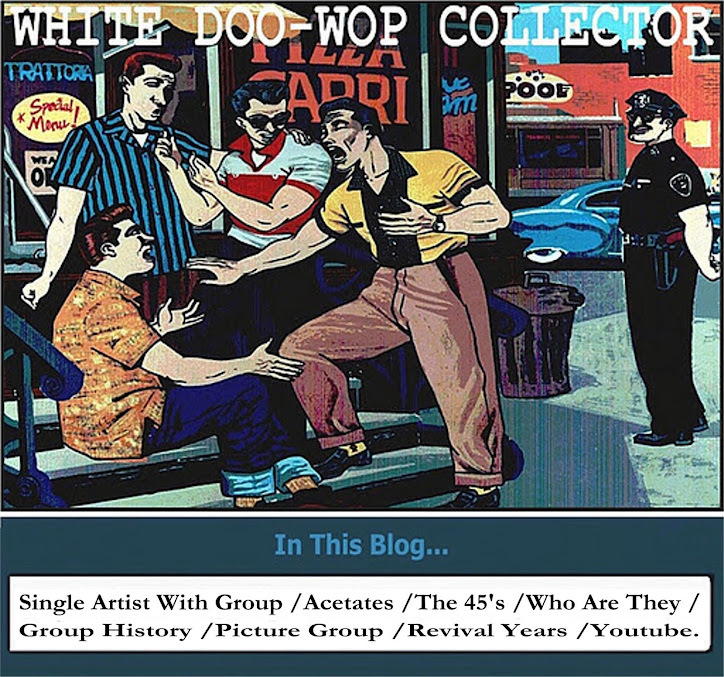 (arranged by Paxton) with the original group tune _Why (written by all the group in 20 minutes) the sides were released in 1961 on the Paxley Records later re-released for their nationall distribution by the Hollywood label Dore Records owened by Herb Newman and Lou Bedell as a subsidiay label to their Era company. Unreleased sides from their recording session were_Roseanne. and_I'm Alone. In 1962 the group were disbanded. in 1988-1994 all the members of the group except Tom Holder singing as Deja Vu.